I’m Dhirendra Sinha. I graduated from IIT Guwahati 13 years back, did my MS from Texas A&M University. I currently live and work in the United States. I work as a Director of Engineering for Captora Inc, a startup in California. I want to share a few incidents at IIT Guwahati, where I had a dream and then more dreamers joined me and we all worked hard till it was a reality. IIT Guwahati first Robotics club! As I talked about it in my earlier blog: Dream is something which doesn’t let you sleep!, After my fight to pursue my initial dream, I had a big dream that IIT Guwahati should also have a technical festival. I pursued it and now it’s a reality. Just one dreamer was not enough to make it big. Hence the biggest question was How do I motivate people and build a team who want to make this happen? I started off by asking my batchmates whether they are interested to come forward and form our first IIT Guwahati Robotics club! We had a few meetings to bounce ideas off each other and come up with some projects to kick start the work. It was great. People showed lot of enthusiasm, but then came mid-semester exams, everyone was back to books and the club dissolved again. I was waiting for the 1999 Techfest poster from IIT Bombay and in November, I saw it. I was so excited by reading the robotics competition problem statement. I was determined to participate and build another robot. The problem was to make a marble shooting robot which will knock off small cones placed at a certain distance. This time I spoke to my friend, Sai Kumar Banala, a creative genius. He was equally enthusiastic about the idea. We made several sketches and finally came up with a good design for our robot and it’s fabrication started. I felt the power of team and teamwork. Even two people working in harmony as a team is capable of generating enough power. We went through a lot of struggles, but we saw each other’s blind spots and became each other’s strengths. We built the robot, got the permission from the Director and traveled to Bombay. This time there were two more people who accompanied us to IIT Bombay. Needless to say we had a great time and learnt a lot. Seeing this enthusiasm, other people also got excited to participate in technical festivals. They went to other IIT’s technical festivals. There were many teams of people who felt the same as I felt a year back. People were full of enthusiasm and energy to make our dream – Our own Technical Festival come true. We started having informal discussions in hostel rooms and then formal meetings to chalk out more details. I vividly remember about 20 of us sitting in an afternoon in our hostel and brainstorming about the name. Finally, my batchmate, Gaurav Kataria suggested “Techniche”! That sounded professional as well as impacting – “Techniche, IIT Guwahati Technical Festival”. After finalizing the name, we had lot of other work to do such as- Sponsorship, publicity, event management, problem definitions, faculty adviser, poster and brochures design and printing and on and on…..It was exciting! I was heading the event management committee and thinking about predefined problems to put on the brochures and posters and my experience at IIT Bombay came handy. It’s very easy to hide behind the exams, quizzes and assignments at IIT. 80% people generally do so anyways. It was a big task to encourage and motivate 1st and 2nd year students to participate in Techniche. They made me address a crowd of 200 – 1st and 2nd year students. The idea was to push some self confidence and motivate them to be involved as a participant or as a volunteer. The feeling was amazing, but very daunting at the same time. I had to address them and tell my experience of representing IIT Guwahati twice in IIT Bombay Techfest. It worked, we got participants. Juniors would just drop in my room at night to discuss their ideas. Day-in and day-out I was there for them – advising on issues such as where to buy stuff from, going to hardware stores, helping with design. It was very taxing, but I could feel my dream taking shape and it brought immense satisfaction. I was tirelessly working towards creating a team of volunteers, planning event venue, finances, team strength, posters, equipment, identifying judges – a truly gratifying experience! We personally started visiting colleges and inviting them for participation – walking into classes and requesting the Professors for a quick session, meeting students in library or just announcing in the hallway. We learnt a lot about overcoming our own fear of meeting and talking to completely new people! We started planning more intensely – travel and product reimbursements,food and lodging arrangements, prize money, raw material for event! After lot of sleepless nights and amazing efforts put together by the whole team, the day arrived! The event was for 2 days. We were running around to make sure it ran smoothly. Every organizer and volunteer had put their heart into the event and made it a big success. It was our big dream coming to reality. We had so many engineering colleges come and participate. All the predefined problems were a big hit and our car race robotic competition made a home run! It was a big hit. Lot of people worked hard to build the remote controlled car from scratch. It was just a treat to see so many people with the same enthusiasm and learning mode as I was when I went to TechFest in IIT Bombay. I was invited on stage to speak about my story and share my experience. Standing in front of all the students and faculty and talking what we went through was a sweet and rewarding memory I would cherish for lifelong. A new chapter had started. After that I funded the robotics competition in Techniche a few times. Now Techniche is a huge Pan India event, which has participation from across India and even celebrities deliver guest lecture. I wish to go there once and witness its current scale and magnitude. The dream, the struggle, the victory, the lessons, the friendships all were absolutely amazing. If I start taking names I would definitely miss many people. But It was an impeccable team work. During this struggle, I met some of the finest and smartest individuals, who were not only intelligent and hardworking, but were extremely passionate about what they put their heart to. Many of them are now entrepreneurs, graduated from top technical and management schools and have great jobs. Also, all the faculty of IIT Guwahati were extremely supportive of this initiative as well. Special thanks to Dr. Sukumar Nandi who was the head faculty advisory board for the first Techniche. I wouldn’t trade this beautiful experience for anything! Now, after about 15+ years, Techniche still remains extremely close to my heart! Put yourself on fire and people will come and watch you. 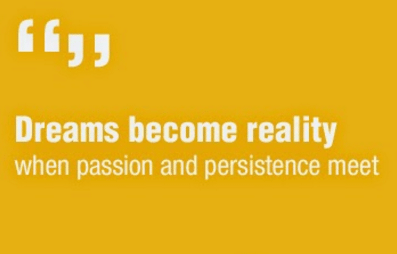 Dream big and persist long enough, other dreamers will join the forces to help you. Working in team is extremely tough – especially dealing with different personalities, different strengths, different weaknesses. But indeed its very rewarding. Big dreams can be initiated, but can’t be successfully and completely realized by one person alone. It takes a team of passionate and dedicated individuals as well. 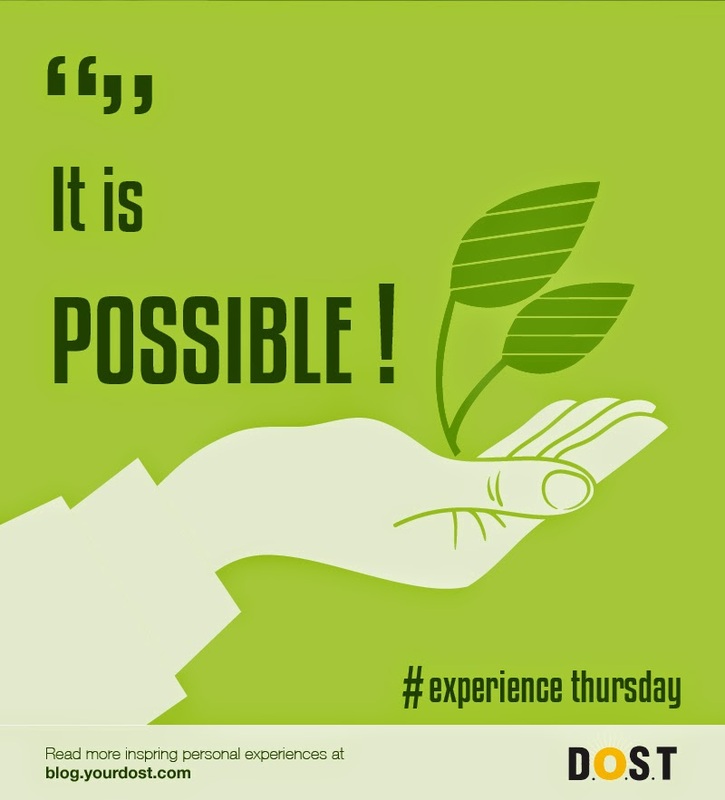 www.yourdost.com is your emotional support system where you can be anonymously vent out your about things worrying you – ‘ family expectations, peer pressure, relationship issues, confusions, work pressure ‘ without the fear of social stigma to psychologists and other experienced people. Signup Now and start chatting online. Dhirendra Sinha is Director of Engineering for Captora Inc, California. He has done his engineering from IIT Guwahati and MS from Texas A&M University, US. He is a father of two beautiful girls. He volunteers for Your D.O.S.T as he wants to help people through this medium. Dhirendra Sinha is Director of Engineering for Captora Inc, California. He has done his engineering from IIT Guwahati and MS from Texas A&M University, US. He is a father of two beautiful girls.He volunteers for YourDOST as he wants to help people through this medium. What’s More Important – Grades Or Pursuit Of Dream? 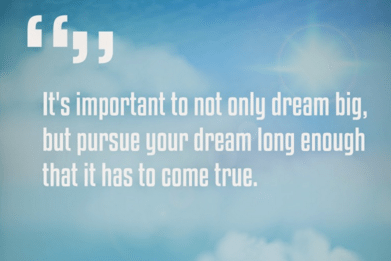 What's More Important – Grades Or Pursuit Of Dream?